It’d be hard to bury the lede if we tried. Standing at 6 feet 5 inches tall, our 23-year-old Men’s Breakout Player of the Year is hardly a breakout around the southeast region, particularly in his home state of Florida. The Tampa area native has made a name for himself since he started playing in the Open division back in 2014. What Calvin Heimburg did in 2018, however, is what brought him in to the national conscience. For much of the past three years, Heimburg has been competing and winning all over Florida and South Georgia, but was unable to commit full time to disc golf due to his schooling schedule. 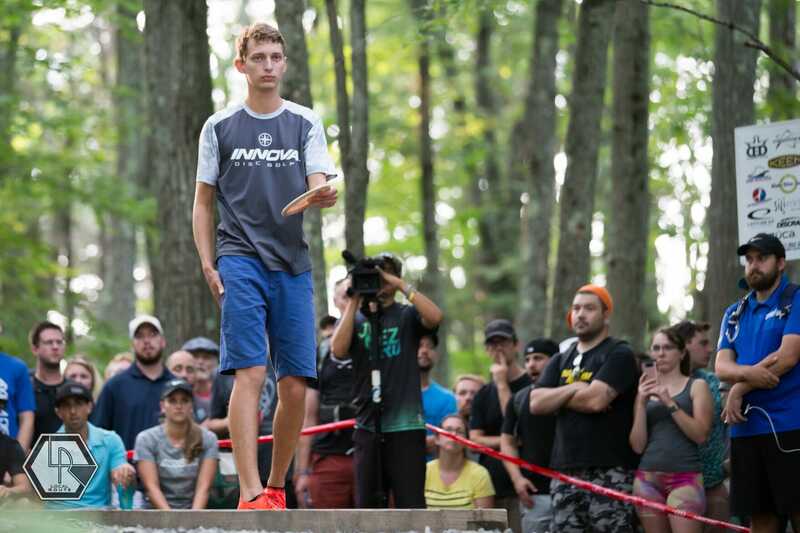 In his first season at the top level, he made several lead cards, won three B-tiers, and competed in his first PDGA National Tour event, placing 28th at the Maple Hill Open in 2014. The following year Heimburg continued his hot streak and won or placed in multiple tournaments all over the Sunshine State. 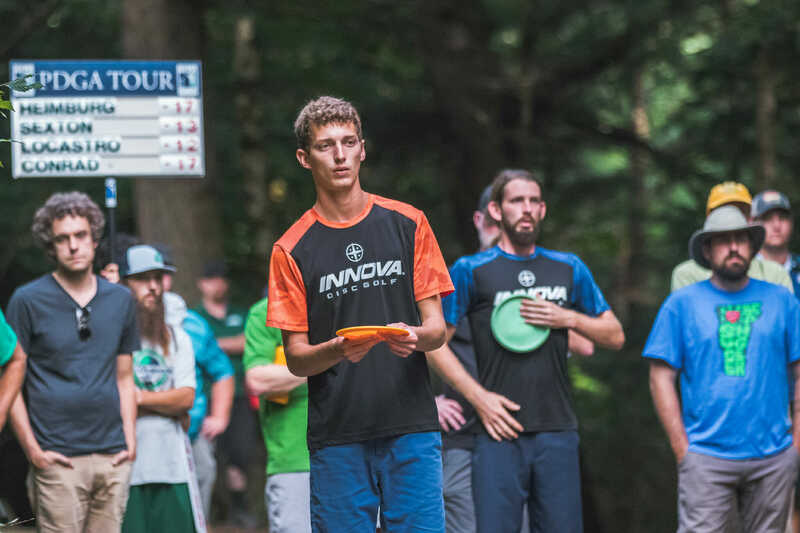 He had the spotlight on him for a moment in August 2015, as the kid who was attending the University of Florida found himself in second place and playing on the lead card after the opening round of the 2015 PDGA Professional World Championship. He would go on to finish 34th. After graduation in December 2017 with a degree in chemical engineering, Heimburg took a much-needed vacation abroad before fully committing to the second half of the 2018 disc golf season. This would give him the chance to prove that he was much more than just a local pro and that he could contend for lead cards at any tournament. Calvin started his tour by playing in three consecutive Disc Golf Pro Tour events. First was the Idlewild Open, followed by the Ledgestone Insurance Open where he finished 11th. “Idlewild was a couple weeks after I came back home from Europe. I flew out there last minute and took seventh,” Heimburg recalls. “At that point, I felt like I could hang with everyone out there. Heimburg’s third overall finish at the MVP Open put him four strokes behind the tournament winner and last year’s Men’s Breakout winner, James Conrad. The next bullet on his 2018 timeline was in Jeffersonville, Vermont at the 2018 Pro Worlds. After round one, Heimburg sat in first after shooting the highest-rated round ever on the Fox Run Meadows course, a blistering 1081. He would eventually fall off the pace and finish 16th, earning his third payday over $1,000 in 2018, marking the first time in his career he had three winnings to break the $1K mark in the same season. Heimburg’s “Heisman moment” of the year also came during the first round of the world championship. Hole 7 at Fox Run is a 1225-foot par 5 which averaged 0.85 strokes over par the three rounds played on the course, making it the hardest hole of the tournament. Heimburg was able to card the only eagle 3 of the 544 attempts. He and uDisc Live put his putt for three at no more than 15-20 feet. Jeremy Koling, who was on Heimburg’s day one card, seconded the short putt via his commentary on the round 1 footage by Jomez Productions. When asked if a tap-in eagle on the bruiser at Smugglers’ Notch would rank as the best hole he had ever played, Heimburg didn’t think so. Respectable finishes at the final two NTs and the USDGC translated into a sixth place showing at the Disc Golf Pro Tour Championship in Jacksonville. Even though he was one spot out of the final round cut, Heimburg was able to earn his fourth four digit payday of the year. An even more impressive note, Heimburg has cashed in every tournament since turning pro in 2014. According to uDisc Live statistics from all available tournaments, Heimburg ranked 17th in the 2018 season in fairways hit percentage, and 17th in parked percentage. He was really able to separate himself with his putting, making 92-percent of his Circle 1 putts, putting him in the top 15 of the field; his 32-percent of Circle 2 made putts placed him in the top five. Heimburg also raised his rating 21 points to a career-high 1036 over the course of the 2018 season. Watching any of his film you can quickly see that Heimburg is deadly accurate from anywhere inside 65 feet, and almost always a threat for birdie off the tee. Even at a young age, Heimburg has shown ability and composure at the highest level, and we haven’t even seen him for a full year at a time. Comments on "2018 Men’s Breakout Player Of The Year: Calvin Heimburg"